On 1 July 2016, a law in the Swiss canton of Ticino, which bans anyone from hiding their face in public, came into effect. According to 20 Minutes, the first person to be punished under the new law was Nora Illi, a representative of the Islamic Central Council of Switzerland (ICCS). Last Friday, when the new law came into force, the group held a press conference in Locarno denouncing it. Following the gathering, the female representative walked out of the meeting covered from head to toe. The police did not hesitate to issue the woman a fine. The amount of the fine is unknown, but the new law allows fines from CHF 100 to CHF 1,000 (US$ 1,027). Nora Illi was accompanied by Algerian politician and businessman Rachid Nekkaz, who has vowed to cover the cost of all such fines. Last December he said: “I am going to negate this law by paying all fines due”, reported 20 Minutes. 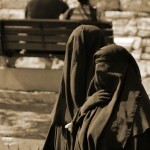 The law banning face covering was passed by the canton of Ticino in November last year. 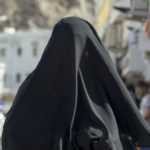 Nora Illi told Le Temps in 2010 that she converted to islam at 19 before getting married, and started wearing the niqab out of respect for Allah. She is a member of the ICCS, who deals with women’s issues. In an interview published by Blick.ch in 2014, she explained the advantages of polygamy. 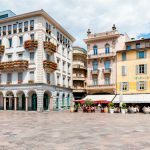 Separately, last week Le Matin reported that a court in the Swiss canton of Saint Gallen had fined the father of a muslim family for breaking laws related to compulsory schooling. Over a period of several years he refused to send his girls to school swimming classes, school camps and other school events. The Bosnian national was fined CHF 1,000 plus CHF 30 per day for 100 days. The prosecutor had demanded a fine and a prison sentence of four months. In her view, the man who has lived in Switzerland since 1990, lacks respect for Swiss law and a willingness to integrate. In addition, she requested the cantonal migration office look at whether his residence permit should be withdrawn. The man said letting his eldest child go on a winter camp was not compatible with his faith. The authorities in St. Margrethen, where he lives, have continued to clash with him over his beliefs, he said. The family, on social benefits, has been in conflict with commune authorities for years. In March 2015, the court convicted both parents for refusing to send their daughters to school because they were not allowed to wear veils. In this case, Switzerland’s higher, federal court, ruled in favour of the parents on the basis of religious freedom and allowed their oldest child to wear a veil to school.